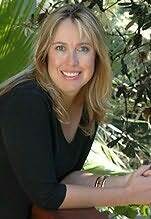 USA Today Bestselling author Tessa Radley considers herself a reader at heart and discovered books at an early age. Growing up in a world surrounded by Nancy Drew, Ken and Flicka, Cherry Ames, Anne of Green Gables, Bilbo Baggins and the ponies of the Pullein-Thompson sisters, she eventually moved on to reading everything she could lay her hands on. Tessa loves writing books with a little edge and a lot of emotionthe kind she loves to read. Her favourite kind of characters are those caught in seemingly insurmountable circumstances and Tessa wrestles all day long with how to get them in and out of those impossible situations.